The critically endangered Yangtze finless porpoise has seen steady growth in two protection reserves in Hubei province since 2015, and its population will exceed 100 by the end of this year, accounting for one-tenth of the total, reserve officials said on Monday. The Tian'ezhou Natural Reserve in Hubei province is home to 90 finless porpoises and is expected to welcome nine newborn calves this year, Zhang Zhenhua, head of the reserve, said on Monday, the International Day of Biological Diversity. "We will see 10 Yangtze finless porpoises born annually, and keep the total around 100," Zhang said, "We will move some out to other regions or natural reserves if needed in the future." 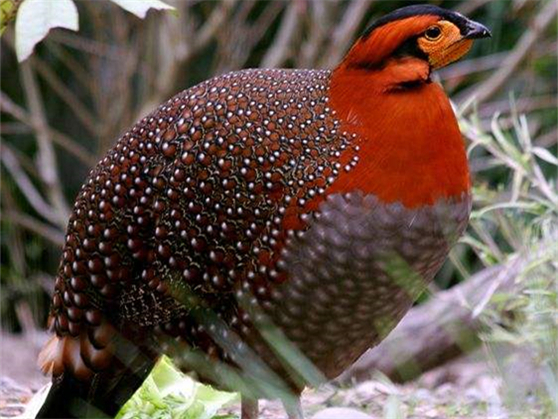 The reserve has worked to protect this species in China through establishing a successful model for other reserves, he said. 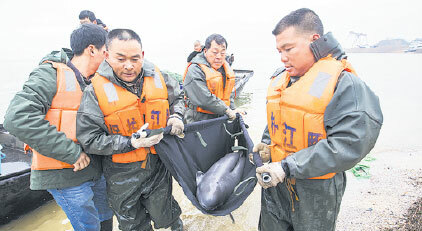 In addition, the province's Hewangmiao Natural Reserve currently owns 12 porpoises, of which four were transferred from Poyang Lake in late March for better protection, and will see two calves born annually, according to Zhu Binting, head of the reserve. The Tian'ezhou reserve is the country's first national level special reserve for Yangtze finless porpoises. It was established in 1992 to counter the growing risks of extinction. The animal's population plummeted 13.7 percent every year from 2006 to 2012, according to the Ministry of Agriculture. A survey by the ministry found there were about 1,040 finless porpoises in 2012 - fewer than giant pandas. Of those, 500 were living in the main stream of the Yangtze River, 450 in the river's Poyang Lake and the other 90 in Dongting Lake. If the number continues to fall at the current rate, the species could be extinct within 15 years, a statement from World Wildlife Foundation said on Monday. It added that the Yangtze finless porpoise - known for its expressive face that seems to smile - was listed as "critically endangered" in 2013 under the standards of the International Union for Conservation of Nature, meaning they are facing a high risk of extinction. Measures to protect the species include creating natural reserves and relocating some animals, which could shield them from human activity - fishing, busy river traffic and pollution - said Wang Ding, a porpoise expert at the Chinese Academy of Sciences' Institute of Hydrobiology. 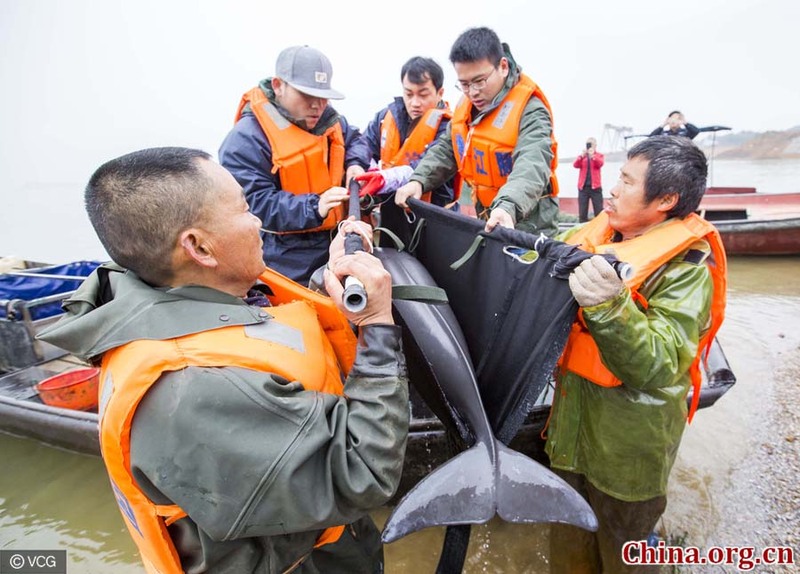 Currently, there are at least seven natural reserves for the Yangtze finless porpoise, scattered in Hubei, Hunan, Anhui and Jiangsu provinces, according to public statements from various cities. In addition to providing a place for relocation, the reserves have measures to reduce pollution. Zhang, from Tian'ezhou, said aquatic plants have been planted to restore the water quality and feed more fish. Emissions of pollutants in nearby regions have also been reduced, he said. Conservation Org: Pandas Downgraded from "endangered" to "vulnerable"
As the population of giant pandas in the wild increases, China’s national icon has been downgraded from “endangered” to “vulnerable” on the Red List maintained by the International Union for Conservation of Nature or IUCN on Sunday.